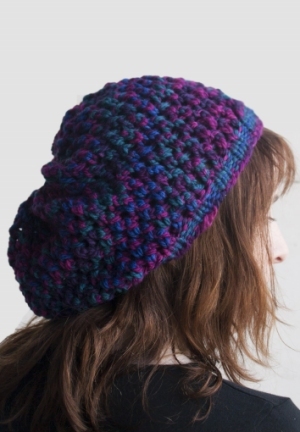 :"A simple lace pattern works up quickly into a fun, soft hat. " Size US 9 - 16" circular needles, US 10.5 - 16" circular needles, US 10.5 double point needles, stitch markers, and a tapestry needle are required but not included. $13.50 -- Kit price including yarn only (no book or pattern).